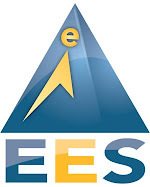 Add RSS in your Outlook and follow the latest EES links in real time! The Commission acknowledges the assistance and cooperation of the Financial Industry Regulatory Authority (FINRA) in connection with this matter. The SEC's investigation is continuing. The Commission acknowledges the assistance and cooperation of the Financial Industry Regulatory Authority (FINRA) in connection with this matter. FINRA independently developed information through its examination and investigative processes that contributed significantly to the filing of this enforcement action. We wrapped ourselves in an intellectual security blanket sewn together by our brightest economists and many of their mathematically gifted progeny, the Ph.D. "quants" of Wall Street. We were taken in, as we so often are, by an inflated belief in our own powers. And hubris--as always--was rebuked with catastrophe. The China bulls have commented approvingly on the growth in loans in China, seeing it as a sign of pending recovery, along with an upswing in stock prices. We've pointed out that economist and China commentator Michael Pettis has heard quite a few reports that many of these loans were in fact sham transactions to meet government targets. And now it gets even better. One analyst estimates that more than 1/3 of the total "new" lending (assuming that the loans were truly extended) may have gone into the stock market. http://danskeresearch.danskebank.com/link/Meltdown17022009/$file/Meltdown17022009.pdf In conclusion, the crisis in Central & Eastern Europe (CEE) is getting out of hand and investors are aggressively exiting CEE markets. The most likely outcome is a very sharp fall in economic activity across the region. Pressure on CEE markets will probably continue until either the EU and/or the IMF intervene decisively. The Central Bank of Nigeria queried one of the top players in the banking industry on Monday evening, over its foreign exchange dealings, suspected to be full of anomalies. This is coming on the heels of allegations that the apex bank has not lived up to its responsibility as a regulator. According to sources, CBN auditors will immediately go into the bank to look through the bank's foreign exchange activities. If the bank is found guilty, it will be suspended from trading on the forex market, which is still one of money-spinners for banks in these turbulent times. "The mood is hot now at the CBN in view of the global financial meltdown and its probable effect on the Nigerian economy. So, if anything to suggest round tripping is found in the bank's books, then the bank gets maximum punishment," a source, who asked not to be named, disclosed. Investigation by our correspondents revealed that many banks were still involved in roundtripping, despite the Central Bank of Nigeria's directive that foreign currencies sourced through its Retail Dutch Auction System must be for end users only. Round tripping is an arbitrage transaction where retail banks buy foreign currencies from the CBN and resell at the parallel (black) market far above the stipulated two per cent premium allowed by the apex bank. Meanwhile, the naira remained at N147.70 to the United States dollar at the inter-bank foreign exchange market on Monday. Traders attributed the stable exchange rate to the uncertain outcome of the Central Bank of Nigeria's Retail Dutch Auction System. "Most banks were not aggressive in their demand for dollars because of the CBN's auction today (Monday)," one dealer said. Traders said the outcome of the RDAS would determine the level of activity in the market on Tuesday. The naira strengthened to N147.70 to the dollar on Friday from N149 on Monday last week after big dollar inflows from the Nigerian National Petroleum Corporation and local conglomerate, Dangote Group, improved liquidity in the system. At last Wednesday RDAS, the CBN offered $200m at the rate of NI45.30. The apex bank has been consistent with this exchange rate in the last two trading sessions. Meanwhile, analysts have predicted that the naira might fall further to between N165 and N200. According to a report by Vetiva Capital Management Limited, the persistent fall in oil prices, diminishing oil production as well as consistent decline in foreign reserves are some of the factors that will lead to a further crash of the naira. The report stated that the CBN would definitely meet the dollar demand by end-users at the early stage but that as soon as the reserves began to decline without adequate means of replenishment, the naira would suffer significant depreciation. Vetiva noted that, "We expect that the depreciation of the naira against major economies as witnessed towards the end of 2008 will be sustained in 2009. The CBN seems to have abandoned any effort to support the value of the currency, probably recognising that it would be a prohibitively expensive long term policy to pursue." Vetiva's position also coincided with that of Citigroup which predicted that the naira might weaken to as much as 15 per cent this year should the price of oil, which accounted for 90 per cent of the nation's export earnings, declined to an average $35 a barrel in 2009. An economist with the group, David Cowan, said, "Nigeria is very reliant on oil revenue to meet demand for foreign exchange. If the oil price averages around $35 a barrel, then the naira will face significant further depreciation." The currency lost almost a quarter of its value following a November 26 decision by the CBN to limit sales of dollars to commercial banks to protect its $52bn of reserves as oil revenue shrank and foreign investors sold the nation's assets. Oil has slumped almost 72 per cent since its July record of $147.27 a barrel, cutting Nigeria's export earnings. "The central bank can't justify using its reserves to defend the naira in a country that is still very poor," said Cowan. Ready for More Bad News? The economic crisis is even worse than Obama admits. But this is the real thing. And it's going to drag on much longer than most people think. It will be called the Greater Depression, and it's likely the most serious thing to happen to the country since its founding. And not just from an economic point of view, but political, sociological, and military. The Asia-Pacific region is feeling the pain faster than even pessimists expected. China, an economy on which Australia increasingly relies, is looking more vulnerable by the day. The latest sign of that was January's 17.5 percent plunge in exports. I copied each full transcript into separate Word documents. After doing that, I deleted the introductions by both men (since those are largely or fully scripted) and then deleted all reporter questions from the transcripts. What you have left are simply the answers that each president offered, off-the-cuff and unscripted, to all questions. Then I ran Word's readability tool. Too much a fan of his day job, Schiff's focus is now on expanding his business from six offices to a possible 30 worldwide. Schiff's plans may be put on hold for now, as his expansion relies heavily on the state of the U.S. economy. Gerald Celente correctly predicts every major event last 10 years. There is a battle being waged now in the world of economics. This battle is fierce. And no matter who wins, the impact will be felt far and wide. I dub this epoch struggle: "Godzilla vs. King Kong"
Q: Isn't this just a populist, diversionary tactic on Obama's part so that he can spend $900 billion more on his porky projects? A: Yes. And you of all people should envy his strategic gifts, which were finely honed right beside you at Harvard. Besides, if things get keep getting worse, you will beg Obama for another pay cut, just to hold the line on rising sales of guillotines. Ten years ago, a quote from Marx would have one deemed a socialist, and dismissed from polite debate. Today, such a quote can (and did, along with Charlie's photo) appear in a feature in the Sydney Morning Herald—and not a few people would have been nodding their heads at how Marx got it right on bankers. Barron's interviews Ray Dalio, chief investment officer of Bridgewater Associates. Listen up: Bridgewater's funds have produced long-term annual returns, net of fees, averaging 15%. In the turmoil of 2008, its Pure Alpha I fund earned 8.7%, while Pure Alpha II delivered 9.4%. This guy knows his stuff. Two of Switzerland's largest banks, UBS and Credit Suisse, are set to announce combined losses for 2008 of 29 billion Swiss francs later this week, the Sonntag newspaper reported Sunday. Americans might get angry sometimes, but we don't hate the rich. We prefer to laugh at them. Few 21st-century Americans have any real experience with economic populism. That appears to be changing fast. In the 1930s, the demonization of the upper class did not really begin until almost two years after the stock-market crash. We are now six months into our own economic crisis, and signs of populist resentment are already visible: in the perverse fascination with Bernard Madoff's remarkable fraud, the popular outrage at the tax problems of public officials, the growing contempt for the many overseers of the credit markets, the ruined investments of millions of ordinary people, the growing army of the unemployed (still far below the 15% to 25% unemployment of the 1930s, but 7.6% in January and growing fast), the likelihood of a recession that could last not just for months, but for years. These are the preconditions of populist revolts. Mr. Obama's chastisements of bankers and CEOs have been relatively mild compared to the routine denunciations of "economic royalists" in the 1930s. But the longer the crisis goes on and the deeper it grows, the more Huey Long-like challenges to those in power will arise, and the more pressure there will be for national leaders to launch populist battles of their own. Morgan Stanley is also advising the Fed on the AIG rescue. "Our position is that, while 'Buy American' may sound good, in fact we're very concerned that if this stimulus legislation contains the 'Buy American' provision, other nations and regions of the world would follow our lead and pass similar provisions," said spokesman Jim Dugan. "Suddenly, we could find ourselves with an old-fashioned trade dispute similar to the 1930s, and soon global trade could grind to a halt. We are very, very concerned that this 'Buy American' provision could end up leading to a similar set of circumstances that would be detrimental to Caterpillar, and more importantly, to the U.S. economy and the global economy." The White House's nominee for Director of the Central Intelligence Agency, Leon Panetta [pictured above], has earned more than $700,000 in speaking and consulting fees since the beginning of 2008, with some of the payments coming from troubled banks and an investment firm that owns companies that do business with federal national security agencies. Mr. Panetta received $56,000 from Merrill Lynch & Co. for two speeches and $28,000 for an Oct. 30, 2008 speech for Wachovia Corp. Both firms suffered big losses last year and were acquired by larger banks. Are we on the brink of a new dark age? http://www.nytimes.com/2009/02/01/world/europe/01russia.html?hp MOSCOW — Protesters held demonstrations throughout Russia on Saturday, offering largely subdued, but pointed criticism of the government's economic policies as the country continues to sink deeper into an economic morass.